You may have seen traditionally dressed Mennonites at farmers’ markets or on TV, but you may not know that these are only a segment of the Mennonite population in Canada. There are several varieties of Mennonite and Amish groups in Canada, and—although they all share the same roots—each group practises its faith in unique ways. Here are some things you should know about your Mennonite, Old Order and Amish neighbours. 1. Why are there so many kinds of Mennonites? Mennonites believe in the importance of community and the priesthood of all believers; primary decision-making is based in the congregation or within a group of congregations. Over the years there has been considerable splintering as groups within the church disagreed about how to best to follow the teachings of Jesus Christ. Today there is a wide spectrum of Mennonite churches in North America. Some churches are similar to mainstream Canadians in how they worship and how they dress; other Mennonites are more traditional and they use dress and transportation styles from the 19th century. 2. 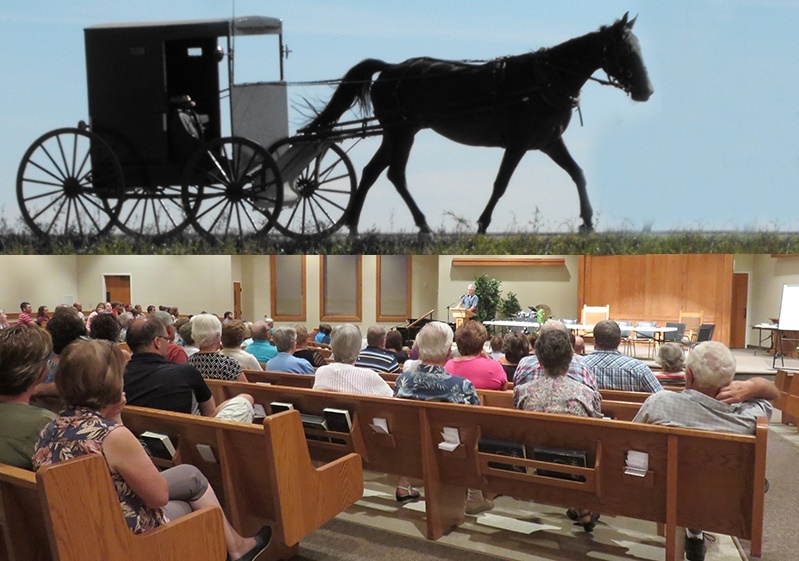 How are horse-and-buggy Mennonites different from “mainstream” Mennonites? All Mennonites believe in the importance of a church built on the foundation of Jesus Christ, that community is essential for faithful living, and that love and peace are at the centre of what it means to be Christian. But Mennonites do not all agree on how to best live out their faith. Beginning in the 19th century, some Mennonites chose not to adopt the latest technology, believing that these new inventions would erode their values of humility and simple living. While more progressive Mennonites have adopted many of the changes of mainstream culture, traditionalist Mennonites have maintained many of the old ways. They have chosen to be selective in what technology they will accept. There are many different kinds of traditionalist Mennonite groups, and they do not draw the same line on what is acceptable. 3. Who are the Amish? The Amish originate from a division among Anabaptist/Mennonites in Europe in the late 1600s, when Jacob Ammann’s plan to bring renewal to the church in Switzerland and Alsace resulted in a church split. Over the centuries Old Order Mennonites and Amish have had little formal cooperation, but they have many similarities. They cooperate informally and sometimes live in neighbouring geographical areas. 4. Where did Mennonites in Canada come from? Historically, there are two basic strains of Mennonites in Canada: the Swiss-South German Mennonites came via Pennsylvania, and the Dutch-North German Mennonites came via Russia (Ukraine). In the late 1700s and early 1800s “Swiss” Mennonites from Pennsylvania settled in southern Ontario. In the 1870s, a large group of “Russian” Mennonites from Ukraine moved to southern Manitoba. Further waves of “Russian” Mennonites came to Canada in the 1920s and 1940s. In the last 50 years, Mennonites have been coming to Canada from Mexico. In the 1920s some of the more traditionalist Mennonites of the 1870s migration who settled in Manitoba moved to Mexico in order to live in traditional colonies where they could control their own civil affairs, including education of their children. Land scarcity has been an ongoing problem in Mexico, and families who choose to return to Canada generally do so for economic reasons. In Ontario their church is called the Old Colony Mennonite Church. Of course there are also many Mennonites in Canada who do not share this Germanic ethnicity. Especially in the last 50 years many people have chosen to join Mennonite churches, although this is rare in the traditionalist churches. Some Canadian Mennonite congregations are predominantly made up of immigrants from another culture such as Chinese, Hmong, Hispanic, or Ethiopian, and they worship in languages other than English. 5. How are Old Order Mennonites different from Amish or Old Colony Mennonites? The customs of Old Order Mennonites, the Amish communities and Old Colony Mennonites have a number of similarities, but the cultural differences are significant enough so that members of one group would not feel comfortable moving to another group. The Old Order Mennonites and Amish have the same European roots and the language spoken in their homes is the same German dialect. Old Colony Mennonites use Low German, a different German dialect. The Old Order Mennonites and Amish have been in Canada for nearly 200 years and are well established. They each have their own parochial schools and do not send their children to public schools. Old Colony Mennonites are less well-established and have been using public schools, although they are working at increasing the availability of their private schools. While traditionalist Mennonites in Mexico often use horse-and-buggy transportation, Old Colony Mennonites in Canada use cars or vans. Old Order Mennonites, Amish and Old Colony Mennonites are all traditionalist societies. Women do not take leadership roles; they are expected to be homemakers and raise the children. Women wear skirts, never pants; they do not cut their hair, and they wear some type of hair covering—either a net cap or some type of kerchief. Children are considered a valuable part of the family and are expected to help with chores from a young age. Teaching children about faith is considered to be primarily the responsibility of the family, although Old Colony Mennonites do have Sunday school for children. These groups generally do not use birth control, and families tend to be much larger than the average Canadian family. All of these groups have strong ties of family and community. They want to encourage each other to live as true followers of Jesus, living humbly and simply. 6. Where do Mennonites live in Canada today? Today Mennonites can be found across Canada. Some of the larger concentrations are found in various pockets in Ontario, including Kitchener-Waterloo, Aylmer, Leamington, Markham and the Niagara Peninsula. In the west, large concentrations can be found in southern Manitoba, in the Saskatchewan Valley north of Saskatoon, and in the lower Fraser Valley in British Columbia. 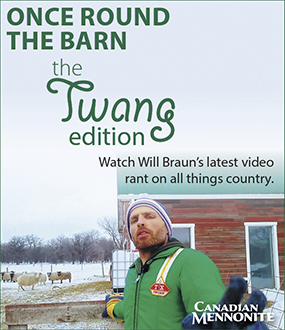 Traditionalist Mennonites tend to live in rural areas, and the horse-and-buggy groups are predominantly in southwestern Ontario, especially in north Waterloo Region and Wellington, Perth, Huron, Grey and Bruce counties. 7. What do Mennonites believe? Mennonites are Christians who trace their beginnings to the Protestant Reformation, and their basic beliefs are similar to other Christian denominations. Mennonites believe in the importance of a church built on the teachings of Jesus Christ. They believe that the essence of Christian faith is obeying Jesus’ teaching and following his example, that community is essential for faithful living, and that love and peace are at the centre of what it means to be Christian. Their peace theology means that Mennonite churches discourage their members from serving in the military. Here are a couple places to find out more about the beliefs that Mennonites hold in common: Thirdway.com and the “Shared Beliefs” of Mennonite World Conference. 8. What is Mennonite worship like? Mennonites hold weekly worship services on Sunday mornings. For “mainstream” Mennonites, worship is usually about one hour, often with Christian education time either before or after the service. These groups sing the same Christian hymns as other denominations, and some Mennonites have a reputation for good singing in four-part harmony. The design of their church buildings is similar to that of other Christian denominations. Traditionalist groups have a longer service, for some two hours, some three hours. The Amish worship in homes while Old Order Mennonites use simple meetinghouses that have neither electricity nor plumbing. Bible reading and singing is usually in the same High German that has been used for centuries. The semi-traditionalist groups tend to use English. Singing is mostly in unison and very slow to modern ears. Many of the traditionalist groups kneel for prayer, and foot-washing is part of their twice-yearly communion service. 9. How do Mennonites choose their leaders? “Mainstream” Mennonites encourage potential leaders to attend seminary. The congregation hires the pastor, and ordination is done in conjunction with the broader church organization. Many traditionalist Mennonites have continued to choose their ministers, deacons and bishops by lot, and they believe it is God who chooses who will be ordained. Candidates are nominated by the congregation. 10. Do Mennonites use drugs? Most Mennonites use the same health care system as other Canadians. Some traditionalist Mennonites do not want to feel indebted to the government and choose to pay for their own health costs, so they may be more restrained in using expensive drugs. While there have been some examples of drug smuggling rings with connections to the Low-German-speaking Mexican Mennonite immigrant community, those individuals are not part of the church. Mennonites are not drug smugglers. The book, One Quilt Many Pieces: A Guide to Mennonite Groups in Canada, by Margaret Loewen Reimer (published by Herald Press) includes statistics and facts of more than 20 Mennonite groups, including Old Order communities, mainstream denominations, German-speaking family groups, tiny clusters of congregations, and churches of many ethnicities and languages. Mennonite Disaster Service (MDS), with an office in Winnipeg, Man. Mennonite Economic Development Associates (MEDA), Waterloo, Ont. Mennonite Heritage Museum, Abbotford, B. C.
Mennonite Heritage Village, Steinbach, Man. The Mennonite Story, St. Jacobs, Ont. Mennonite Heritage Centre Archives, Winnipeg, Ont. Mennonite Archives of Ontario, Waterloo, Ont. It might not be a big enough community, but there are several thousand Mennonites in LaCrete, AB, and it is almost solely a Mennonite town. A smaller Steinbach with a mixture between old and new colony Mennonites that mainly speak Low German. Thanks for the article. Would I be able to be accepted or do I have to be born in to the congregation? 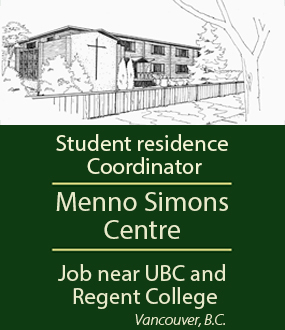 You do not need to be born into a Mennonite family to be part of the Mennonite church. You can choose to become a part of the church. See point # 7 above for some of the core beliefs. 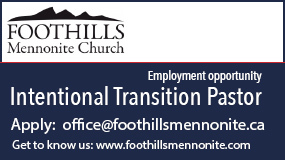 Mennonite congregations would welcome a person seeking to live out their Christian faith. I would like info on the social male/female order. I have heard that whatever the male does, even if it is illegal, the wife is not to say anything to him or anybody else about it. Can you please comment on this? Does the Mennonite church have a symbol such as the Huguenots have a Huguenot cross, that one might use as a charm on a necklace or bracelet? No. Generally Mennonites do not place a lot of importance on visual symbols. The first settlement of Russian Mennonites was in the Steinbach area of Manitoba, in 1874. Next was in the Winkler area, starting in 1875. All my Canadian ancestors were early settlers here. About 1900 a new area for homesteads opened up northwest of Saskatoon, Saskatchewan, and many from the Winkler area settled here. A few years later (before 1910) another area south of Swift Current, Saskatchewan, drew many Mennonites. Both my parents grew up there. I believe little if any Russian immigration occurred after the 1870s until the mid 1920s, with people escaping the hardships after the Russian Revolution .